Here’s what the fuss is all about! ! Open the link for the real scoop… it’s in the newspapers too! DON’T MISS IT!… It’s a first! First half full of swingin’ tunes… 2nd half colourful & fun! 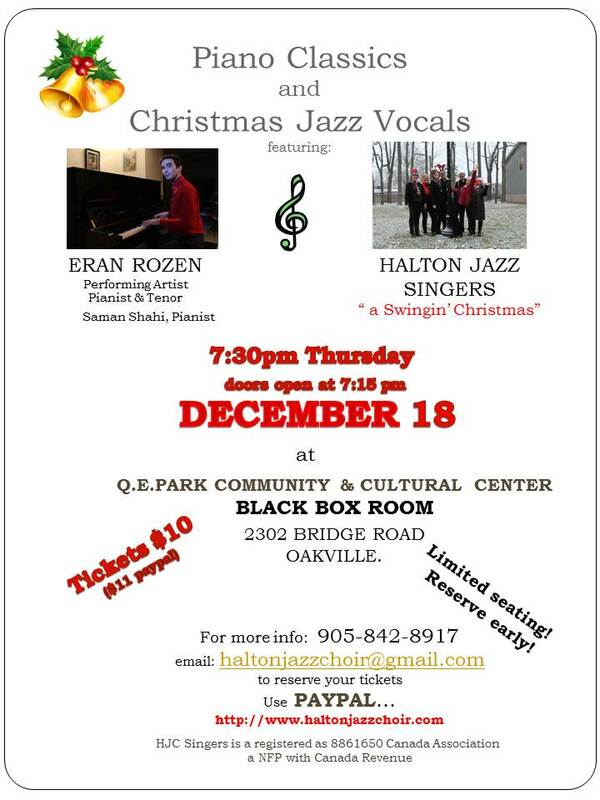 Q.E.Park Community & Cultural Center, Black Box Theater, 2302 Bridge Road, Oakville… Park close to the flag pole.. Tickets on sale at the box office, tomorrow from 6:45 -7:45 p.m.